you will see the many health benefits of supplementing your diet with these kinds of Omega-3 fatty acids. 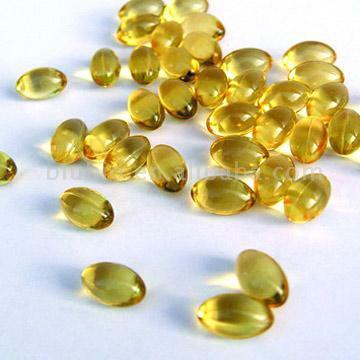 Fish oil contains high levels of the essential fatty acids, eicosapentaenoic acid (EPA) and docosahexaenoic acid (DHA). EPA and DHA are Omega-3 fats, and key components for the health of both body and mind. Fish oil not only supports the functions of the brain, joints, and immune system, it is the fatty acid most associated with a healthy immune system. EPA assists in thinning the blood and dilating the blood vessels. DHA and EPA together support heart health by enhancing nitric oxide production. Many years of research have proven the benefits of Omega-3 fatty acids. With each passing year, more research is published, increasing our knowledge of the many health benefits of fish oil containing EPA and DHA. Most people benefit from Omega 3's in their various forms including fish oil, however there are some people with congestive heart failure, chronic recurrent angina, or signs the heart is not receiving enough blood (pain during exercise) that should avoid omega-3 fatty acids. As you can see, there are many health benefits when supplementing with these kinds of oils. Now you know what they contain, its many health benefits and the general safety of the product. Hopefully, the information provided here on their benefits will encourage you to begin supplementing and also begin to receive many health improvements.